What It’s About: Composer John Russell (George C. Scott) takes a job in Seattle after the death of his wife and daughter in a car crash. He rents an old house from the local historical society. It’s perfect, except for one thing: it’s haunted. Why Watch it Today? : Lead George C. Scott was born today in 1927. 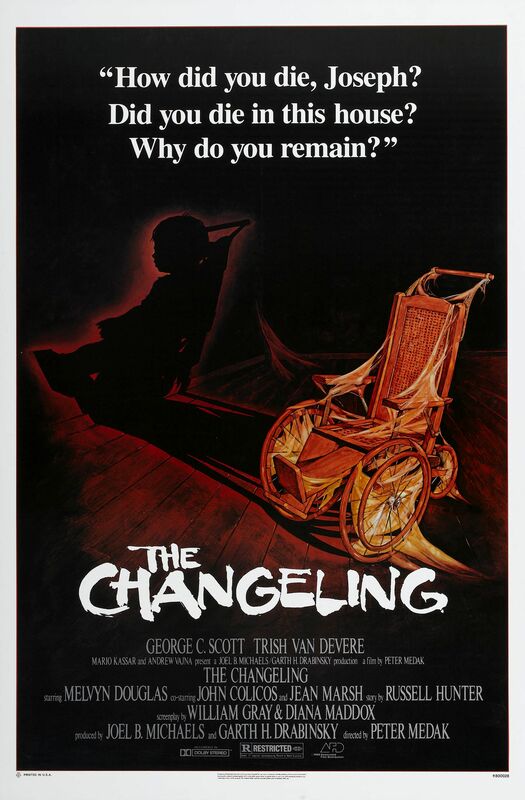 Since it’s October, why not catch one of his few horror films, this well made entry in the haunted house genre? This entry was posted in Ghost, Horror, Independent, Movie of the Day, Mystery and tagged Barry Morse, Canada, composer, cover-up, Eric Christmas, George C. Scott, ghost story, haunted house, historian, historical society, Jean Marsh, John Colicos, kid ghost, less famous spouse, Melvyn Douglas, musicians, Peter Medak, politician, professors, seance, Senator, Tax Shelter Film, Trish Van Devere, twist, vengeful ghost, wheelchair, William Gray.